Our beautiful Two toned Honey oiled leather mary jane is finished with a Brown dyed super high heel 3.5" and a Black oiled wrap around ankle strap and bronze buckle. All my clogs are made to order. Please allow 1 week from purchase. 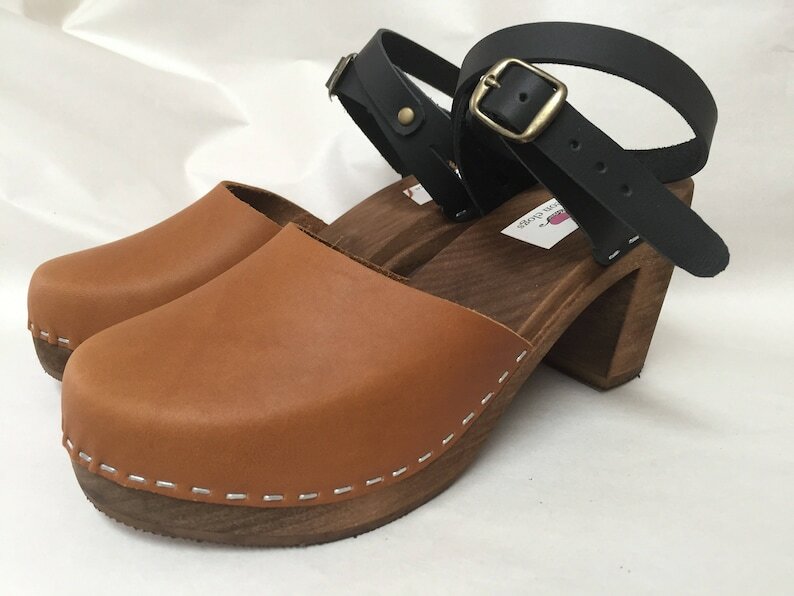 The clogs are adorable and fit perfectly! Thank you for making everything right in the end!